“Keep on using the HTML website you’ve previously been working on. Make sure that your CSS file is linked to your html file. 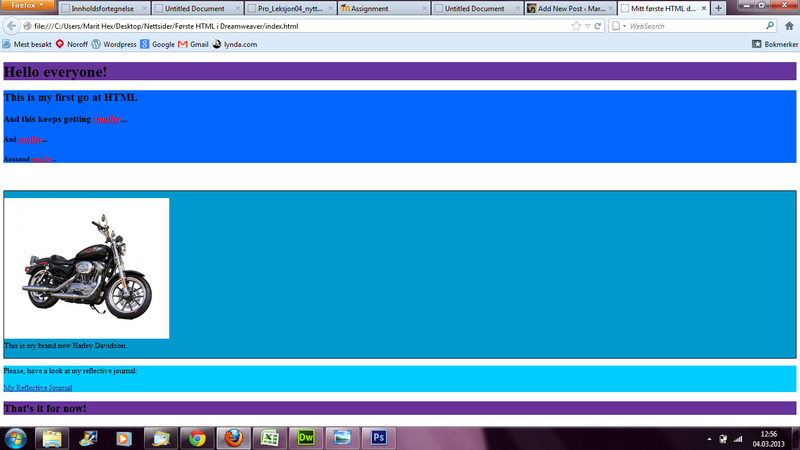 Add different background colour to the different div-tag boxes defined in the HTML document. 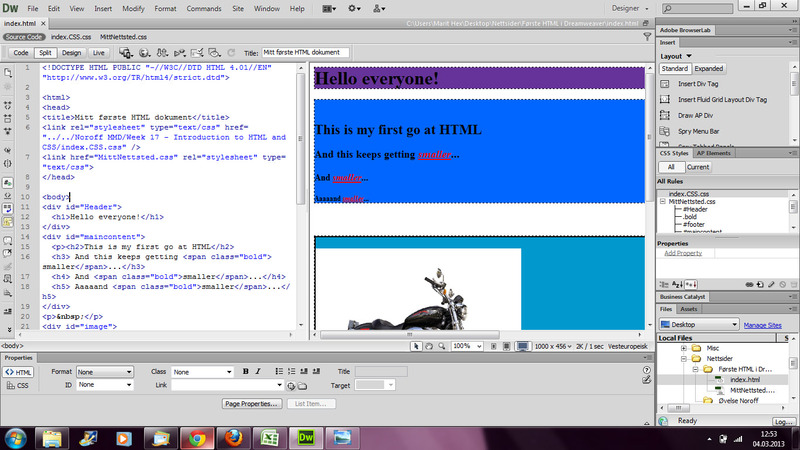 This entry was posted in Learning activities, Week 19 - Dreamweaver - Typography and Layout. Bookmark the permalink.